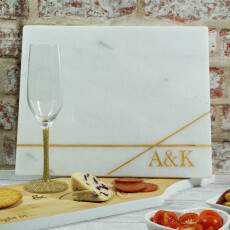 A perfect present for Father's Day, our Slate Cheese Board is engraved in a contemporary personalised design of your choosing! Treat him to a unique gift for the ultimate evening snack. Note: We will engrave what you provide in the personalisation fields exactly as supplied. 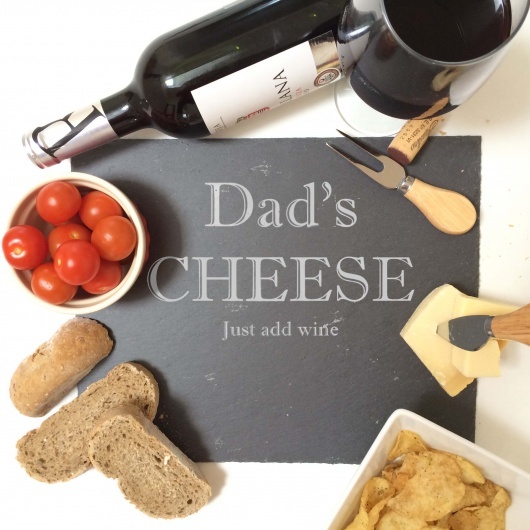 Beautifully engraved slate with a modern, contemporary design this is a great centre piece for any cheese loving Dad! If you would like something other than the wording on this design for your Dad please do just contact us through the contact seller button as we can be totally customised to your liking. Please note that we will engrave exactly what you add into the personalisation fields when ordering so please ensure you check carefully before ordering that there are no spelling or punctuation errors. Please also note that whether you add the information in uppercase or lower case we will engrave it exactly so ensure you check this too. Please be aware that slate is a natural product so there may be slight flaws in the slate itself and if you are lucky you may even get a few flecks of gold! Please be aware of this on ordering.